I’m pretty sure I’ve heard that said somewhere, but since time/technology is limited this morning, I’m not going to take time to Google. I’m just pretty sure someone profound said that statement. And it is so very true. The iPhone and digital media have revolutionized the way we take pictures. You never knew what the pictures were going to turn out like, and you certainly didn’t just take hundreds of random pictures because every picture cost money. Yesterday some on the relation-trip team to Nebbi, Uganda to visit Pastor Geoffrey had the opportunity to take a picture that would’ve said far more than a thousand words. 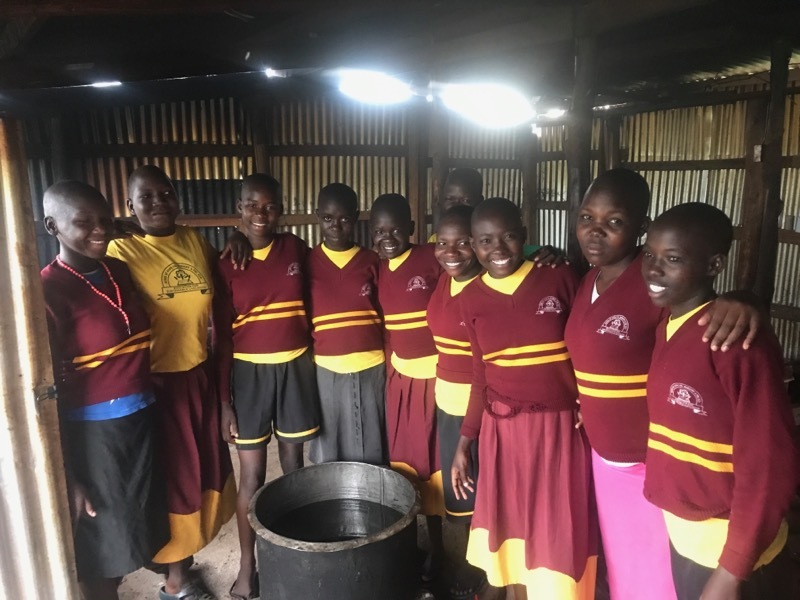 Some of the team stopped in the food market to get the needed materials for the cough syrup that Dr. Tamberlyn Blinsink, a member of our team, is going to the teach the ladies to make. We needed honey, so as Tamberlyn was procuring that, another member of the team, Pastor Sheldon McIver was talking to a lady who owned a booth. Geoffrey told us that before we take pictures we should ask if the people minded, so Sheldon followed that advice. Something at the booth had struck him as profound and interesting, so he asked the shop owner if he could take her picture. She smiled and nodded agreement and as Sheldon began to take the picture, he noticed that she was making adjustments to her clothing. Only her adjustments were very different than the adjustments we make in America. Instead of “fixing things” . . . her hair, her makeup (of which there was none), her clothes so that they would look “just right” . . . she began taking off her scarf that had been covering her neck. Once the scarf was removed people saw the massive scars on her neck/face from being burned. Only after the scarf was gone, did the woman smile for the picture. Sheldon commented how taken aback he was by the view of her scars. Clearly, they were something she wanted people to see. Made me think of the difference between the people of Nebbi and some of us from America. In America, showing our scars is not always popular. In fact, we spend a lot of money on Mederma and other things to cover up our scars. When we prep for pics, the last thing we do is bare them, instead we adjust ourselves and “fix” ourselves so that we appear to be as close to perfect as possible. Maybe perfection here in Nebbi, Uganda is defined differently. Maybe perfection here is being alive, and enjoying/living life instead of hiding that which others think makes someone less than ideal. We all have scars. Some more visible than others. But – regardless of whether they are inward or outward, if we journey through this thing called life we are bound to suffer from wounds and bear scars. What would our culture and community be like if instead of trying to hide them from one another and be STRONG, we allowed others to see our true selves, to allow them to see our scars?